A couple of years ago, during my Creative Sound Production degree, I wrote my dissertation on audio drama recording methods. 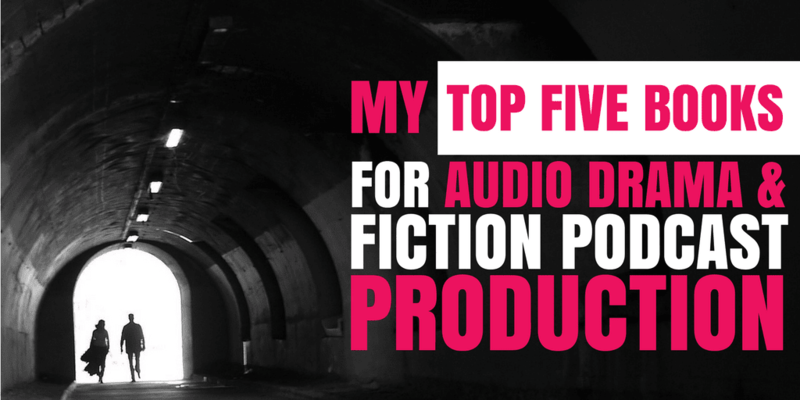 It was a great excuse to search out the best books on audio drama and fiction podcast production. I ended up with a pile of books centered around the whole genre. While it’s true that the entirety of human knowledge is available online – if you know where to look – choosing the right book is a much faster route to learning about a specific subject. I was looking for credible and qualified knowledge on audio recording, sound production, and storytelling, and I ended up pouring over a lot of books: some great, others decent. There are a handful I constantly recommend to others to this day, and these books are well worth investing in if you’re interested in telling audio stories of any kind. The Sound Effects Bible by Ric Viers is, in my opinion, the best book on audio production out there, offering a great introduction to recording and creating audio. Ric is a legendary sound designer, and he’s the founder of the world’s first HD sound effects publishing company, Blastwave FX. Although The Sound Effects Bible does exactly what it says on the tin, it isn’t only aimed at people who want to create sound effects. It’s a textbook that teaches you the science of sound itself: how microphones work and how to build your own studio or Foley room: Ric’s Ten Recording Commandments are essential reading. Alitu is a tool that takes your recording, polishes it up, adds your music, and publishes the episode, all automatically. Despite the colossal amount of knowledge in these pages, The Sound Effects Bible is written in a down to earth conversational tone, broken up by examples, stories, and anecdotes. Even if you’re an absolute beginner, this book will set you well on your way to recording high-quality audio. Richard Hand and Mary Traynor’s Radio Drama Handbook is a comprehensive guide to dramatised audio. It offers a detailed and enjoyable background of the medium, taking you from the very invention of radio itself through to the present day era of audio drama podcasts. From Orson Welles’s legendary 1938 radio broadcast, War of the Worlds, to the modern day cinematic epic We’re Alive, the book is filled with examples and case studies of some of the best audio stories ever recorded. 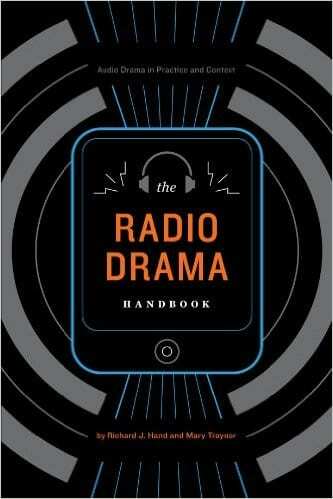 The Radio Drama Handbook has dedicated chapters on writing, producing, and performing radio drama. The authors have assembled a wealth of talent in the contributions and opinions gathered here, which gives the reader a well-rounded view of what goes into making a radio drama, and the many different ways that it can be done. 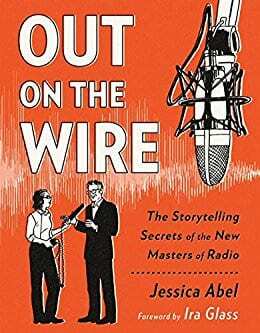 I didn’t read Out on the Wire by Jessica Abel until after I’d written my dissertation – I think it was actually released around the time I was ready to submit my work. It’s written and illustrated as a comic book – this makes it a very easy and engaging read. It’s primarily aimed at telling non-fiction audio stories – but the key principles are just as relevant to fiction as they are to fact. 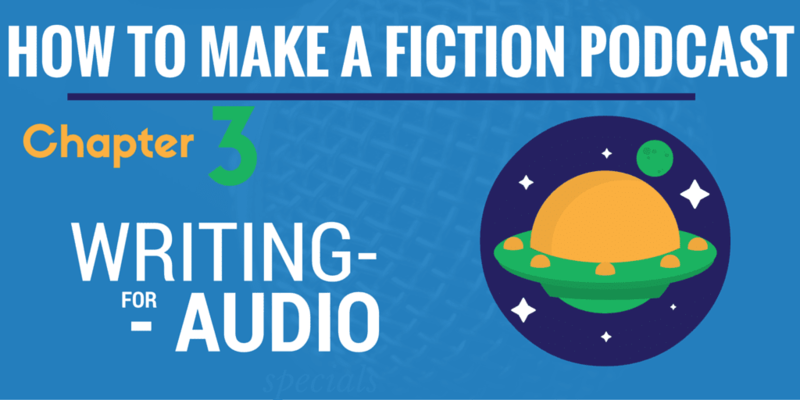 In my series on making a fiction podcast, I wrote about story format. One of these formats was the fictional documentary-style show. If you have ambitions of creating the next Limetown or Black Tapes, then reading this book will set you well on your way. As an added bonus, Out on the Wire also exists in podcast form – and it’s every bit as good as the book! 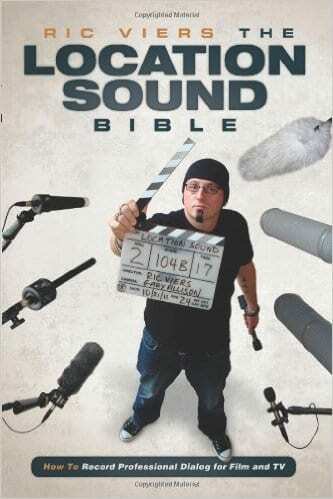 The Location Sound Bible is Ric Viers’s follow up to The Sound Effects Bible. 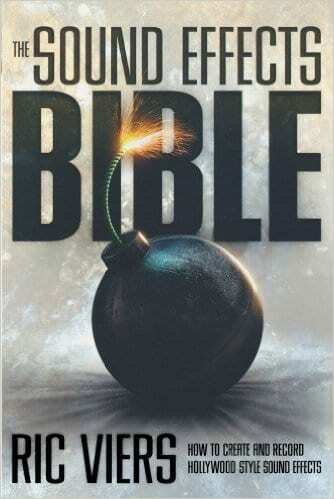 Every aspect of what made The Sound Effects Bible so great can be found in this book too. It’s engaging, accessible, and very informative. In The Location Sound Bible, Ric moves us outside the studio and takes a deep dive into the highs and lows of field recording. If you’re just starting out making audio drama, then by far the cheapest and most effective way of recording is to go outdoors, or to a ‘location’ setting that will act as part of your soundscape. I talk more about this is my chapter on recording your show. There are many pitfalls to location recording, but this book gives you the knowledge you need to go out there and get the best quality recordings, first time. 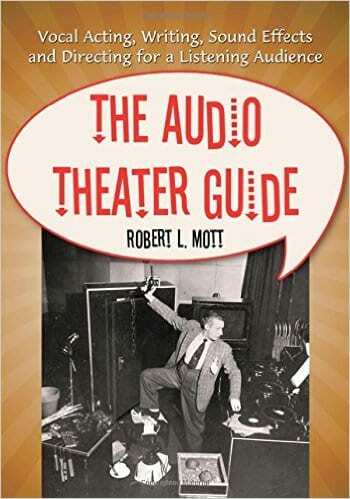 The Audio Theater Guide, by Robert Mott, is a manual on Vocal Acting, Writing, Sound Effects and Directing for a Listening Audience. Although it has the feel of being written for the production of ‘as-live’ Old Time Radio, there’s still a lot to be learned from this book, even if you want to create modern-sounding content. There are particularly useful chapters on directing, writing comedy, and creating emotion through sound that will get you thinking creatively and methodically about your own stories and styles. This is a great overall introduction to making audio drama, and you’ll be eternally grateful for it should you decide to try a live show, whether on the stage or over the airwaves. Radio Drama: Theory & Practice: quite an academic book, but it takes a thorough look at the history of audio and provides a lot of useful information on writing. Practical Recording Techniques: a popular and insightful guide to recording audio. The Foley Grail: written predominantly for Foley artists who create sound for visuals, but useful for expanding your knowledge on the subject of creative audio and sound effects. These are some of the best books on audio drama that I’ve uncovered so far. They’ll give you the knowledge you need to start making audio stories, but you only truly learn the craft once you start putting it all into practice. If you’re going to work your way through these books, don’t buy them all at once and ‘binge’ on them. Take your time with each, and use it in conjunction with your practical work – that’s how you’ll get the maximum benefit from these great works. 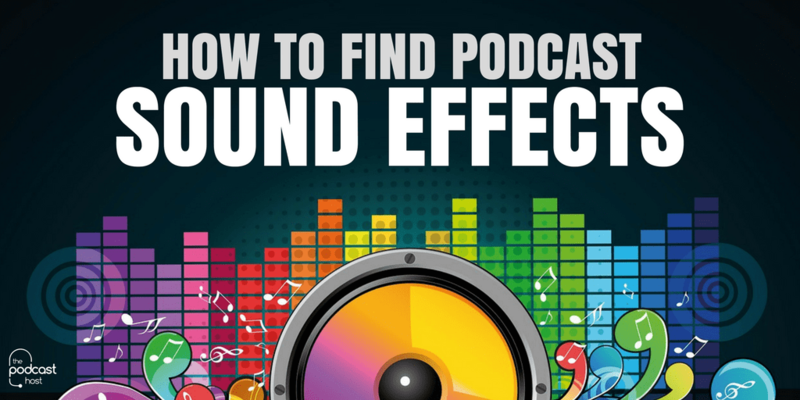 And if you’re looking for some free resources on this subject, check out our show the Audio Drama Production Podcast, as well as our blog series How to Make a Fiction Podcast. 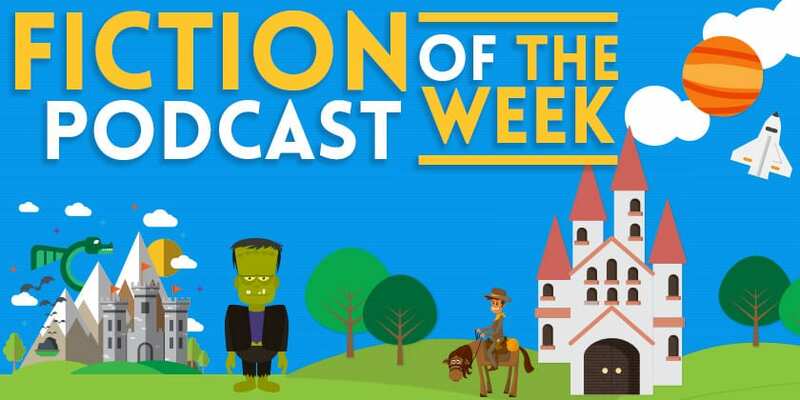 Matthew is an audio drama writer and producer who enjoys talking about podcasts. He makes the tea at The Podcast Host, and is a loyal servant of adopted house rabbits.